The first of Erie's Summer Block Parties takes place next Thursday, June 4, at the U Pick Six Tap House and benefits the American Red Cross. The Tap House has 22 beers on tap that change daily, and will suit any taste—whether you're in the mood for a lager or an ale. The event lasts from 6 to 10:30 p.m., and is sure to be one hell of a show. 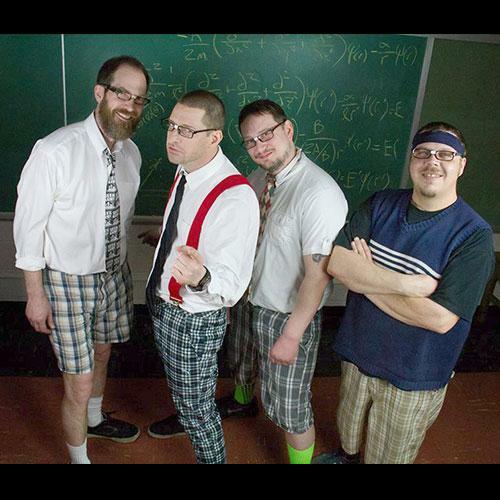 Geek Army is always a hit in Erie, playing energetic tracks from the '80s, 90's, and the 2000s. With this being the first one of the season, it should draw a big crowd. The Block Party Series holds nine events over the course of the summer months, with each weekly party showcasing a different charity. Last year's series saw $44,000 go towards various charities including the YMCA and the Autism Society. With the Block Party Series currently in its 10th year, this should be one for the books. The free shows are a great way to get out and celebrate the summer sun, and to support the community while doing so. The Block Parties are hosted at a different location each week, and feature different performances from local acts. Ron Yarosz and the Vehicle, Abbey Road, and The Romantic Era are other bands that will be hitting the Erie region for the parties at Calamari's, Jerry Uht Park, and The Plymouth Tavern, among other restaurants and bars in the area.